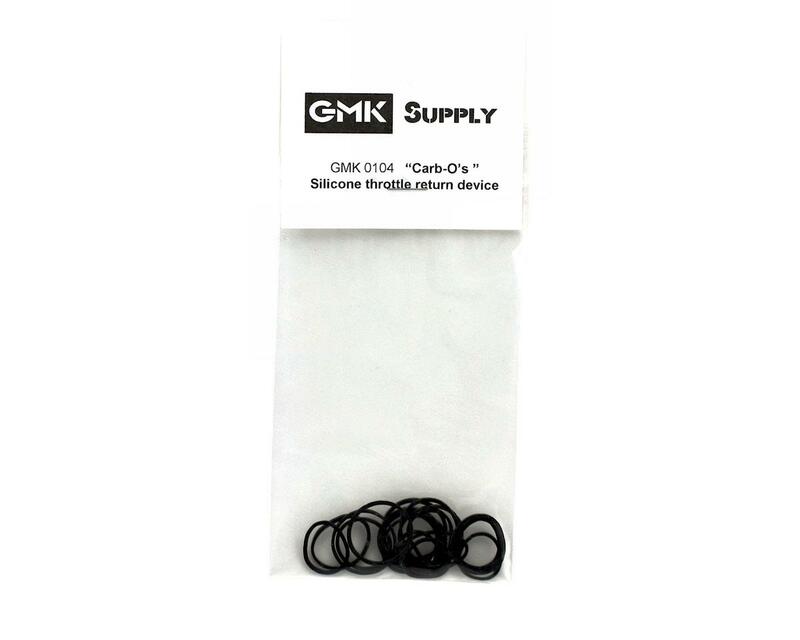 This is a pack of about fifteen "Carb-O's" silicone throttle return bands from GMK Supply. 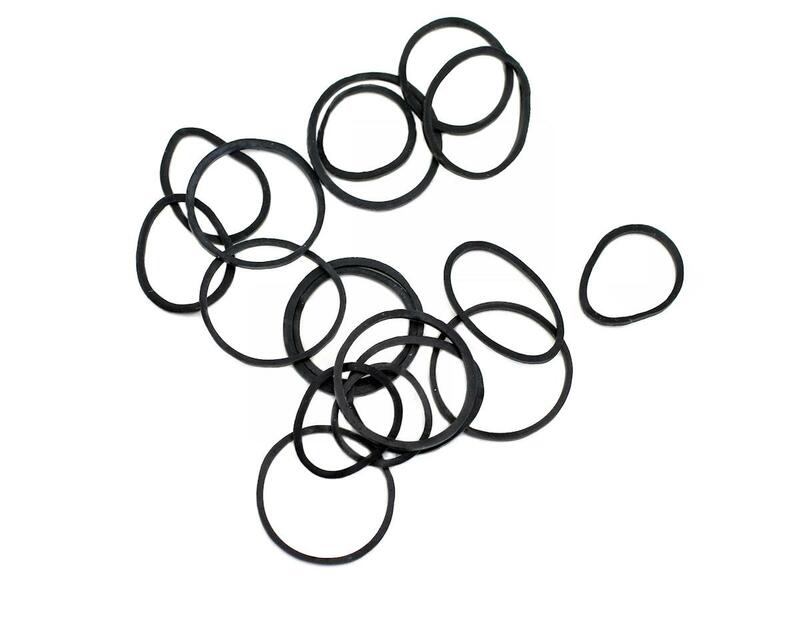 These small silicone bands are super stretchy and work awesome as throttle return springs for all nitro engines from .12 to .32 in size. Double them up if you need more strength, or wrap them multiple times. These bands stretch! Be sure to use 2 at a time. Put one on each side of the carb. This will reduce the chance of your slide binding and grinding. Simply use a button head screw instead of the set screw to add another anchor point. Not a very good product. Does not take long for them to break, and they barely have enough tension with a linkage with no binding at all. These things are a waste! Unless you want to be replacing them after every other heat, dont bother. They get worn and brittle from being worked in no time. Stick with springs.